“I used to cough my guts up every morning,” rasped Callum Henderson. The 31-year-old started smoking aged 11 and puffed through two packs of Marlboro Gold a day until he quit five years ago. Henderson began to cut down when a friend in the pub offered him an electronic cigarette. The devices not only helped the former car trader kick the deadly habit — they also gave him an idea for a business. He and his brother Connor (another ex-smoker) founded Vaporized in 2013 in Edinburgh. Today it is Britain’s largest chain of ecigarette shops, with 96 outlets. A decade after ecigarettes appeared in Britain, the industry is booming. The UK Vaping Industry Association says more than 70% of its members are independent companies. It estimates that there are about 2,000 vape shops in Britain, almost all run by small businesses. Yet an industry that has seen entrepreneurs flourish is in danger. Interest in vaping from global tobacco giants threatens to extinguish some of its independent spirit, while a lack of scientific consensus over the health benefits of ecigarettes has created an uncertain future. Retail sales of the products, which heat nicotine-laced vapour to deliver a hit similar to the real thing, are forecast to top £800m this year. There are now 2.9m regular users in Britain, according to the charity Action on Smoking and Health, an increase of 11.5% in the past two years. The demand has lured the world’s biggest cigarette makers, including FTSE 100 giants British American Tobacco and Imperial Brands. In the past three years, big tobacco has snapped up some of Britain’s fastest-growing vaping companies. The giants have also put billions into developing their own products, taking market share. The range of choice is staggering, from packs of disposable cartridges for £5 to luxury pipe devices for £200. The Medicines & Healthcare Products Regulatory Agency — the government’s health watchdog — has received more than 30,000 applications for vaping products, according to McCallum. Some shops offer up to 400 flavours of nicotine liquid. The independents say big tobacco’s increasing involvement could choke some of the creativity. It certainly increases the likelihood of stiffer regulation — and red tape also tips the balance of power in favour of bigger business. A European directive that came into force this year restricted advertising and reduced the maximum strength of nicotine liquids. Complying is relatively easy for a slick listed company, but can be an enormous expense for a start-up. Manufacturers say they are lobbying for a repeal after Britain leaves the EU. A bigger question looms: will ecigarettes remain legal? Public Health England has said the products are 95% less harmful than tobacco, while the Royal College of Physicians believes ecigarettes should be promoted as a safer alternative to smoking. But nicotine is addictive. 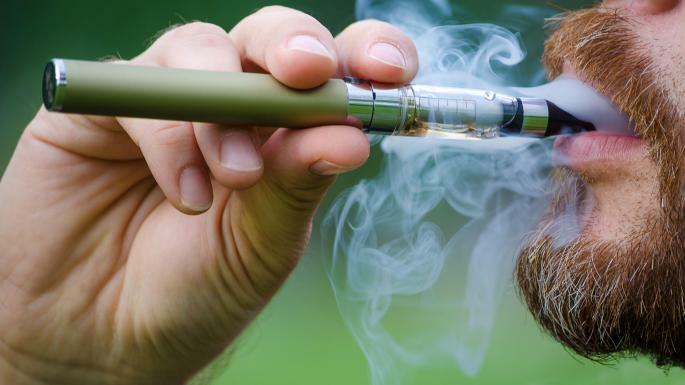 The US Food and Drug Administration last week launched a crackdown on ecigarette use among young people. The uncertainty has hindered the ability of some start-ups to raise finance. Henderson said Barclays agreed to provide Vaporized with a £5m overdraft based purely on the company’s balance sheet. When the bank heard that it was a vaping business, the facility was reduced to £1m, he said.